Angra dos Reis located in Costa Verde between Rio and Sao Paulo is one of the most scenic and beautiful stretches of coastlines you can lay your eyes on. It is spread over 75 miles with tropical forests spread to the ocean accompanied by golden sandy beaches. Angra dos Reis means 'the playground' in Portuguese. 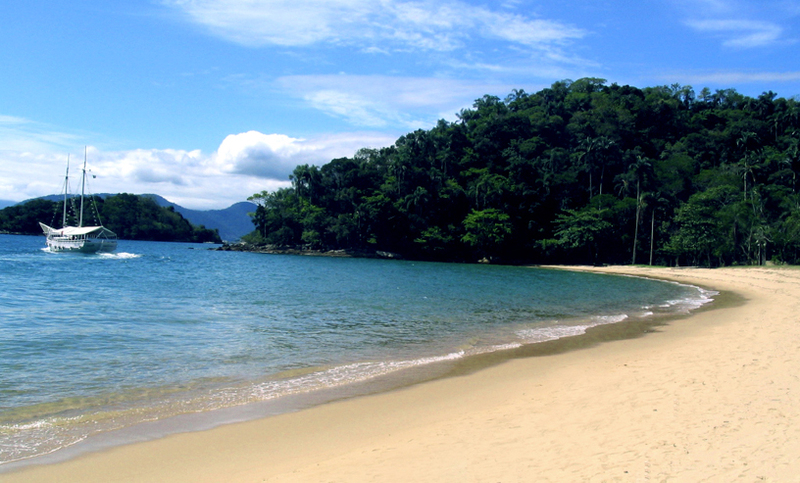 Da Ribeira Beach in Angra dos Reis is one the best beaches you can visit. Da Ribeira beach has clear waters, white and fine sand. It is possible to arrive on foot, from Do Contorno highway, and begins in the downtown. Da Ribeira church is located; in front of it. There are Do Coqueiros and Cavala islands, has natural pools and is very crowded because of its restaurants at weekends and holidays. For people looking to be in beaches that is in reasonable proximity to the airport this will sure come in as an idea option. It's a great place with lot of markets, shops, restaurants and hotels. The food cuisines are of a diverse nature catering to varying clientele, plus you get some sumptuous local delicacies too. Language is also not a very big problem as you can come into contact with a lot of locals who can converse in English. The hotels all offer very affordable rooms that are well furnished.